My perfume collection is finally growing and I am so happy with the way it is looking at the moment. I still need a pretty way to present them on my dressing table but all that comes in due course. Recently I have had three perfumes added to collections; all of them gifts from my birthday or Christmas and I am in love with each and everyone. The first was my birthday gift from my squad, YSL Black Opium which I have been lusting after for ages! I knew there was a reason why they talked me out of buying it! The fragrance itself is dark and moody, a little feminine without being too girly- just the way I like my fragrances. I am not a particular fan of the bottle but the scent makes up for it- perfect for date night or lounging in an arm chair with an old fashioned in hand. The next one was a Christmas present from my aunt and uncle who are masters in buying me perfume. They always get me something that I would never think of but instantly love. This year was Michael Kors Wonderlust. The fragrance is very much like being on holiday- sandy beaches; it’s spicy and again they floral without being too much in your face about it. Definitely my summer scent. I cannot wait to wear this more later on in the year. The finally perfume was from my parents who know me too well when it comes to Christmas presents. 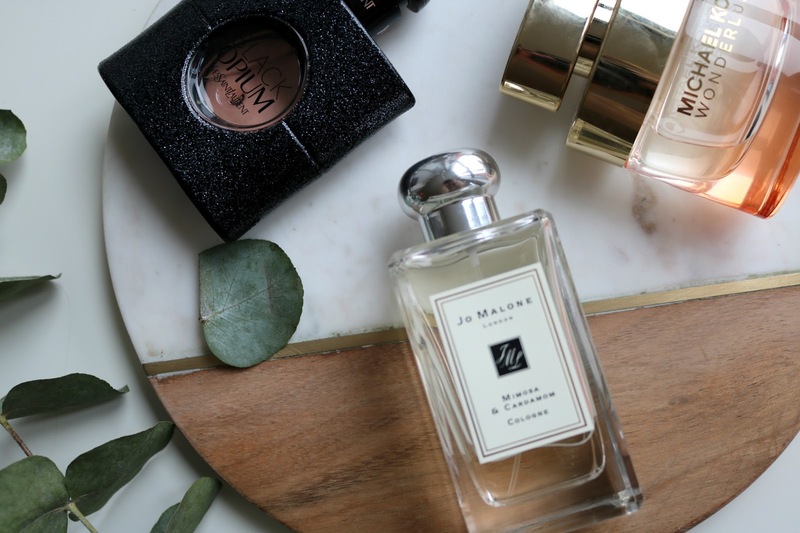 Jo Malone Mimosa & Cardamom is my ultimate Jo Malone fragrance- I have wanted this forever! Very much like Black Opium but not as heavy, this fragrance is my go to everyday smell. It’s powerful without being too much in your face and is so unusual that it leaves that lasting impression. 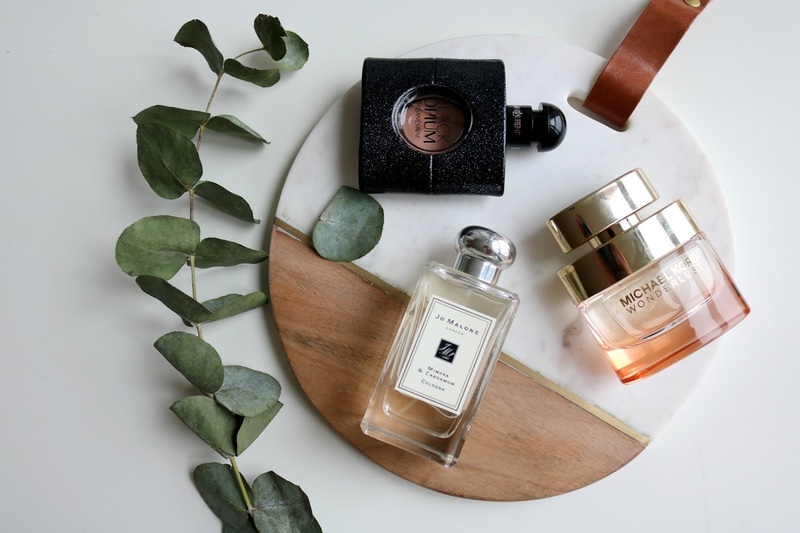 What’s your go to fragrance?